Slain has two Anneptii forms, one is a Pure Form or his True Form and the other is his Humanoid Form. Like all Anneptii he is not limited to just these. He does however mainly use these. 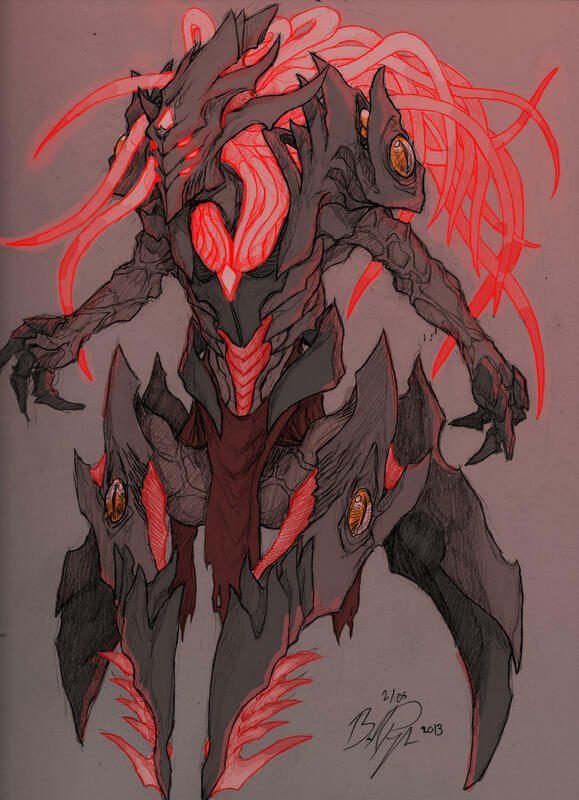 Slain’s True form is what he considered to be the ultimate fusion of Insect, Kuma and Man. This form has an extremely tough exoskeleton, with blood tendrils. It has multiple eyes that can sense various things. All across the body in various spots are Blood Cores, which store blood in mass amounts to help amplify his power. This is the form Slain takes on when going places. He appears as a normal human in this form. At all times, Slain has control over millions of insects, of which all contain pockets of his own blood. He can use these insects as scouts, attack swarms, or means of intangibility. Each insect is always a type that feeds on blood or other life forms. Spiders, Mosquitoes and Fleas are the most common choices. Slain can communicate with all insects. Slain is capable of creating deadly venom, the same as his spiders can. He can also transfer infectious diseases to another host. Slain can spit out digestive sludge which breaks down things it comes into contact with. If needed to, he can shoot spine and needles from his arms and legs. Using Biology, Slain can create any amount of blood he needs for battle or other things. Blood can be used like water if enough if generated. It is however mainly used to empower his Vampire abilities. Slain uses his Biology Study to help bring to life Advanced Insects. Normal insects can be created too. The Explodalisk as the name suggests are Advanced Insects that explode. They are kamikaze that dash towards their target with great speed. The front of them is extremely armoured, but the back is wide open. Upon exploding, they release a thick, acidic slime that erupts everywhere. A fast flying version of the Explodalisk that trades armour for high speed and flight. The largest, toughest, tankiest, strongest, of the Advanced Insects. This one stands 17 meters tall and 20 meters long. It is the equivalent of a Legendary Class monster and takes 2 whole posts to build. The monster of a Insect has 4 massive clamping arms that have yet to find something they can not crush. The Spinalisk is a medium class of Advanced Insect that acts as a soldier type. It has both ranged and melee attacks, medius range and it around the size of a large truck. It spits out acidic needles at a machine gun-like speed. the Flying Spinalisk is the flying equivalent of the Spinalisk. It however trades melee attacks for flight. The Swarmalisk, is a totem like Advanced Insect that burrows into the ground and creates a breeding chamber for thousands of regular insects. These insects are them released and swarm a target in mass numbers. 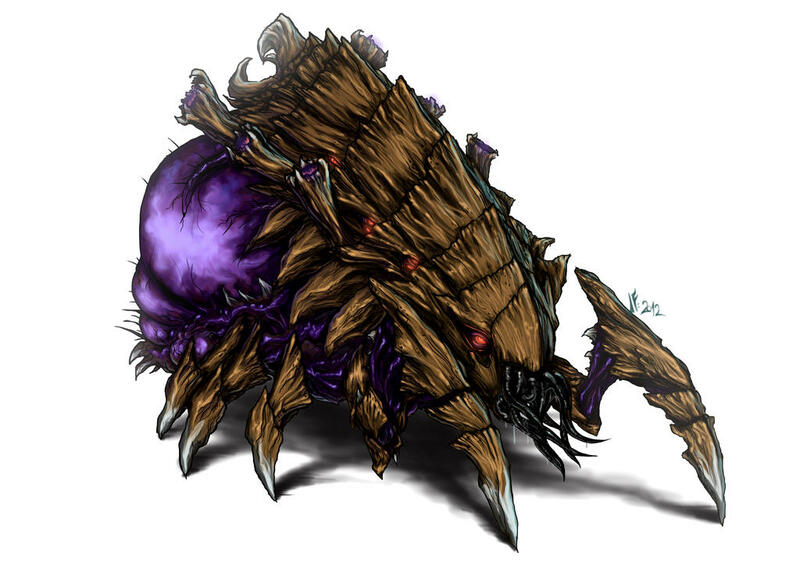 The Queenalisk is a Advanced Insect that has it’s own intelligence and sentience. 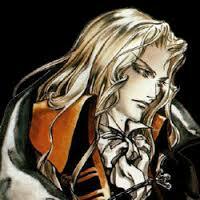 It is a Vampire crossed with an Insect and possesses all of Slain’s Studies and Anneptii powers. It is capable of calling forth other Advance Insect and acting independently of Slain. It uses Long Range attacks and tends to keep far away from the battle so it can spawn Advanced Insects and aid Slain from afar. First Study has been added.